Update 18 July 2007: If you are only interested in how to make a "Donate" button, skip this and go straight to the actual post. I have made a "Donate" button as a demonstration at the bottom of the left sidebar and have made a statement that while it is actually for demonstration I have I am not averse to accepting donations and have said in absolute sincerity that no amount is too small. If you want to use the that button to donate or to test you are free to do so, but please read the updates in red at the bottom of the post. This update is placed here because I added a link back to this post at the Donate button to alert any potential user of that "Donate" button of the implications after a kind soul donated $0.05 which I can say with absolute sincerity is greatly appreciated, but in my accounts, it says that I have been credited with $0.00 (because Paypal takes a cut from the donation). So the kind donor has lost $0.05 while I have gained $0.00 and Paypal earned $0.05. I remembered contacting Paypal for a schedule of charges but don't remember getting a response. I will contact them again. For a fuller description, read the update at the bottom of the post. Another note: If you sign up for a Paypal account, you will be asked to pay a verification fee of something like $1.95. This verification fee will be credited back to your account when you make a withdrawal, so it is not really a "fee". Note that you can chose to verify later or not verify at all, in which case the maximum amount you can withdraw from your account will be limited to $1000. This is in response to someone's question regarding putting a donation button on a blog. The easiest way is to sign up for a Paypal account (to get to their site, type "paypal" into the searchbox at the top of the page, tick the "Web" radio button and click "Search"). Sign into your Paypal account. Once you are signed in, you will see a Merchant Tool tab. Click that and you will get to a page, on the right side of which you will see a section titled "Key Features". I click "View Blog" and didn't "This is for demonstration..." so I had to edit the Page Element and added that to the Title. I will be writing to Paypal for the purpose of those fields and will update this post when I get a response. 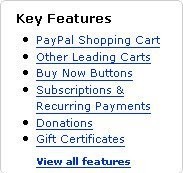 If you want a different button from the Paypal button, you will have to create your own button, perhaps using one of those free button generator sites (use the searchbox at the top of the page. Tick the "Web" radio button). Upload it to the web using either Getting New Blogger to host a picture for the profile photo, sidebar, Header, etc. (click BACK button to get back to this page) or use Photobucket. Get the URL, paste that into the field for the Button Image URL and tick the radio button. Update July 8 2007: Got an email notification from Paypal saying I received a payment for USD0.05, showing that the "Donate" button is working. Click on screenshot to enlarge it, or if you don't want to and can't read the figures, I received $0.00 after deduction. So while I sincerely appreciate the payment, note that after deduction, I got $0.00, the kind donor lost $0.05 while Paypal got $0.05. I still appreciate the thoughts though, but I will try to get more information about deduction from payment received so that you are better informed if you want to put a similar "Donate" button in your blog and will update this post when I receive a response. For personal experience, read below. Note: I have made a payment of -$619.00 USD from my balance to a US resident. While there was no charge for making the payment, the recipient told me she only received only $595.00, meaning $23 (3.7%) had been deducted. Also, if you do not already have a Paypal account and you started one and use your credit card for verification purposes, there will be request for a verification fee of I think is $1.95, which you can chose not to pay. In that case, your payment from Paypal will be limited to USD1000. I have made that verification payment recently, but that payment will be paid back into my account when I next make another payment so I wouldn't really lose anything. The person who made the donation also requested a payment of $0.01 CAD, probably for a contribution to the verification fee. I appreciate his thought on making that donation and really don't mind making that payment, but I will have to inform him that if I make that payment, after Paypal deduction, he will probably get $0.00 CAD. I found your blog about 1.5 weeks ago, and have come back many times. Thank you for all the tips, tricks and info about adsense and blogging. I've learned a great deal. And happy belated birthday. I enjoyed reading that January entry. Hi. Great job with your Blog. Thanks. A very easy question (I'm sure the answer is somewhere in the blog but couldn't find it). All the images i put in my sidebar (http://trypsinners.blogspot.com/)are on the Right margin. I want the image centered, but where do I specify the image size, or whatever, in the sidebar? </span> but I am not sure it will work. Maybe I will test it one day. For some reason I cannot get the "AMAZON PRIME" button to appear. It's similar to PayPal, and they gave me HTML script, but when I paste it into the HTML/JAVA section of Blogger, it doesn't appear on the blog. Just a blank space. Any thoughts? Thanks in advance! First time visit your blog..
You can do it. If I, a dummy, can do it, so can you. So far, many have said the posts in my blogs have helped them tremendously. Just look at the comments they made: Comments left by grateful bloggers. BTW these comments weren't compiled for boasting purposes. The reasons for it is right at the top of the post. they make "funding fun" as they put it, its social funding if you will. Instead of just asking for donations it gives the donators the ability to leave comments, upload pictures and it gives the ability to the admins to twitter updates, share videos and pictures. in my opinion its much better than simply taking money. here is an example of a donation page. Hello, How are you able to advertise amazon products on your blog? I am not an american therefore I could not apply for their estore. You will have to apply to Amazon Associates. You don't need to be an American. I've been wondering, can I put up a donation button without a paypal account?? And what method did they use to send the money to us?? Paypal is the only convenient way I know. Otherwise you may resort to giving bank account etc which will be messy. Thanks for your guidance! My wife needed this much as she's a volunteer to a non-profit sponsoring children's survival kits in famine regions. They will now try to put this DONATE button into their website & blog. Indirectly, you have helped so many distressed children gain food and survival. God Bless You and your family! It is great to put Donation button on the site like it..... But what if we don't have paypal account.. Is there any way to put donation button without paypal account? Unless you ask donors to send you a check, cash or bank into your bank account, you will need a payment gateway and the only one I know provides a donation button coupled with their payment gateway is Paypal. Alternatively you can make your own donation button, then send them to a page (most suitable will be a static page, type some text and provide link to Google Checkout or credit card payment if you have a merchant account or tie up with others who have them. Relax Sita, blogging can be very enjoyable when you are relaxed. You probably got confused over "Page Element"? Blogger has renamed that to GADGET. Is that your problem? thank you ever so much Peter! im having little difficulty. followed ur instruction that were very easy and quick! but when i go to "add gadget" on my blog, and choose "add your own", when i copy the URL for my button i generated on paypal, an error message comes up saying "url contains illegal characters"
thanks, wud really appreciate it! Owenfox, send your code to my contact form and let me see what you are trying to do. your blog awesome.... i got inspired from your blog and i decided to do the same, and here is the result (http://freeonlineinternetjob.blogspot.com). Many times i tried to registered adsense but failed. Could you help me to get registered. Read their program policies and guideline on website quality and work to ensure compliance. Keep publishing good original content especially those that people search for on the Internet. Hi, I am trying to add the donate button, and when I am in the layout page, I click on add a gadget, but if you want to add your own gadget, your ONLY option is to give them a web address to a working gadget. I don't understand this at all because www.paypal.com does not work. Then, you mentioned the HTML, so I figured I would click the link to edit HTML (though I have no idea how to do that, lol) and after scrolling to the bottom, where I see the gadgets listed, I paste the code I got from Paypal after everything else. It tells me error, bad code hinting that it was not created very well, and refuses to save. Any ideas, or has blogger simply decided this was no longer allowed? Basically, you need to add the gadget for 3rd party HTML, and THEN you can add the HTML code from paypal. Thanks for posting this blog though! Roxanne, send the code to me via my contact form for me to have a look. Roxanne, this post described the same thing as in your second comment so hope you can explain to me what in this post was not clear/caused confusion so I can rewrite it. please how can i make my site launched and navigable to meet ads requirement. I'm a new blogger and I'm glad to have found your blog, I could learn much here. Thanks for sharing your experiences. I have a question though ... 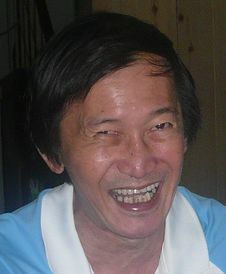 I noticed that you have ads from Chitika, does Google Adsense allow us to advertise other advertising companies' ads? Where did you see these Chitika ads? In any case, it is OK to put Chitika ads as long as they don't look like adsense ads. I want to open one merchant account in USA but I don’t have any particular information about it. So, please anyone help me and suggest some information about high risk merchant account. I want to open a multi-currency merchant account and I need full information about this. What exactly are a multi-currency merchant account and how much it is useful in business? You can easily get merchant account opened,its not at all difficult.Just try here they have good offers. google didn't accept my adsense application for http://tdsolomons.blogspot.com/ ...do i hv 2 own a website for that? That's is a good question for when I first applied for Adsense account, they didn't do any verification for ownership of the website. But now because they have become more fussy, perhaps you may be required to verify that at least you have control over it. I am an indian paypal user,Donate button is not available in paypal for indian users.is there any alternative in paypal.kindly suggest. good day, thanks for this valuable information on how to add a donation button from Paypal. I successfully added mine to my blogs.